Your face is your signature – your calling card. It’s the first thing someone sees when they meet you and the last thing you see in the mirror before going to bed at night. Shouldn’t your face reflect the real, ageless, timeless you? Dr. Ronit Adler can help you regain the firm, supple, crease-free face of your youth – without surgery or scarring – and using the latest technology and procedures. For people who are concerned about the signs of aging on their faces, dermal fillers can be a wonderful option to restore a youthful appearance. One of the great benefits of receiving dermal fillers is that there is not normally much downtime required after treatment. Unlike undergoing an invasive surgery, patients are often able to go back to work and take part in their regular activities the day after treatment. Also, since fillers are applied with a syringe, patients do not have to worry about taking on the risks of anesthesia. Many people are thrilled with their appearance after treatment, as the results are usually subtle but meaningful, leaving the patient with a well-rested and fresh appearance. One of the most popular dermal fillers, Radiesse is an injectable gel that adds volume, smoothing out facial folds and wrinkles. Many prospective patients are relieved to hear that it is composed of calcium hydroxyapatite, which actually occurs naturally in the human body. Dermatologists and plastic surgeons like to use Radiesse because of its thickness, which makes it ideal to use on heavy or deep wrinkles. This is why Radiesse is often used on nasolabial folds, which are also known as laugh lines. Patients will also like the fact that Radiesse lasts for at least one year or so. Since Radiesse is made of natural substances, the body will absorb the materials after this time, and the patient can come back and receive an additional treatment if they wish to obtain the same results. Another very popular dermal filler is Juvéderm, which is also used for nasolabial folds. Other uses for Juvéderm include plumping up the lips and filling in facial scars. However, Juvéderm is composed of a lighter material than Radiesse. This dermal filler is made of hyaluronic acid, which is also a substance that naturally occurs in human beings. Because Juvéderm is made of natural substances as well, it is also absorbed by the body after several months. Of course, how quickly this happens is always unique to the patient. Some people receive Juvéderm and it lasts about six months, while others may see results lasting up to nine months or so. There’s really no way to know how long it will last until you receive the treatment. Also, in the rare case that a patient is not pleased with their appearance after receiving Juvéderm, the absorption process can be sped up with the use of hyaluronidase, which is an agent that makes the hyaluronic acid deplete itself faster. Although cases like these are extremely rare—most patients are highly satisfied with their results—it is a nice option to have for those who tend to be very cautious. Restylane is another hyaluronic acid filler, and was actually the first stabilized hyaluronic acid product available to patients. Because of this, Restylane has a well-established track record and it is reported that this dermal filler has been used in over 11 million procedures worldwide. One of the most popular treatments for loss of lip volume, the filler will enhance the lips for about six months before the patient will need another treatment. Restylane is also used for a multitude of other purposes. Like Radiesse and Juvéderm, Restylane is also used for nasolabial folds. The melomental folds, which occur at the corners of the mouth, can also be softened with the use of Restylane. This versatile dermal filler is also used for crow’s feet and filling out under-eye areas called orbital troughs that may be experiencing a loss of volume due to aging. Restylane may also be used to add volume to the cheek area or contour other parts of the face. 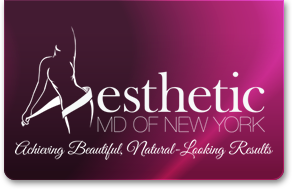 Doctors may also inject Restylane in order to improve the elasticity of the skin in certain areas, including the chest. Perlane is another dermal filler that is used for a variety of purposes, including lip augmentation. Some of its other functions include filling in wrinkles and helping to soften the appearance of scars. This popular filler is also made of hyaluronic acid and lasts about the same amount of time as Restylane—six to eight months. For people seeking to maximize the youthfulness of their appearance without harsh side effects, using dermal fillers is one of the most attractive alternatives out there. By receiving a consultation, you will be empowering yourself to understand which treatments would best suit your particular needs and skin type. Nowadays, there is no need to look in the mirror and be unhappy with what you see. Call (631) 983-6211 today and explore which options would be right for you.